Our second Book club session transpired on September 2 at Modern School, Barakhamba where we picked John Berger’s Ways of Seeing to ponder upon and discuss.The basic premise of the book is based on “seeing” which gives us, the spectator, a place in our surroundings which we in turn negotiate with words. Berger in his book, stresses on the dichotomy between what we essentially ‘see’ and what we ‘know’. The book challenges and at the same time puts into focus the viewer’s ways of perception which are generally prejudiced, biased and manipulated by a host of factors. The cultural specificity also has a considerable bearing in the way we end up perceiving something. Berger through his seven essays, emphasizes on the need to re-look and in turn, re-think our overall visual acumen. Berger questions assumptions about the traditions of European art history, and the book is not about the specific paintings that are presented in the book, but rather about the ways that we understand them now.Berger raises questions about hidden ideologies in visual images and explores the idea of art as commodity. 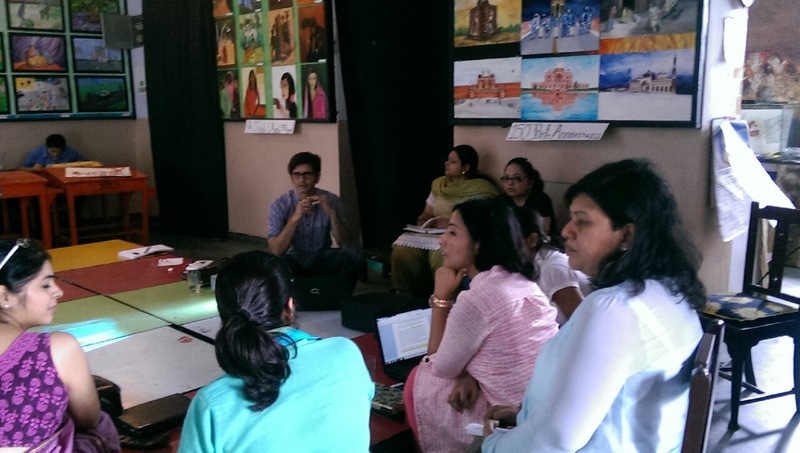 In the course of the session, participants discussed the very many facets that the book throws up with our facilitator Tushar Joag. 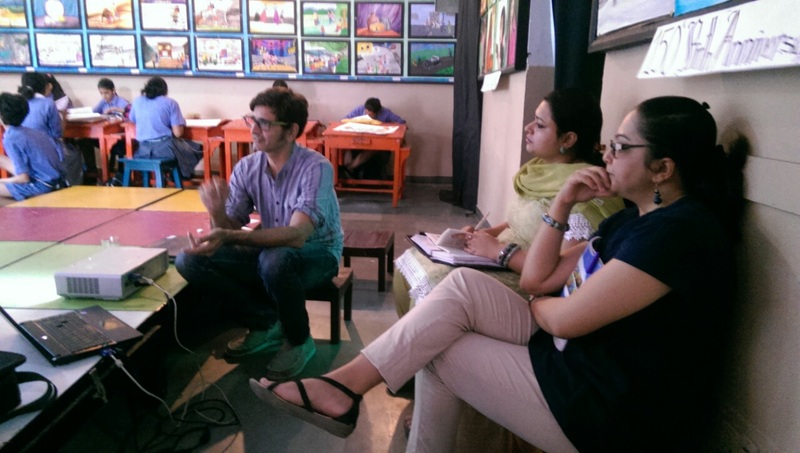 Each one of them deliberated upon images in order to contextualize as per the course of the essays in the book. Sarika also showed the image of Picasso’s Seated Bather which according to her did not resemble a woman at the very instant she looked at it looked like form of machinery to her. Sancheta spoke about the Slice Mango juice advertisement where the model is depicted with the intent of a specific target audience and appeal of a male gaze. The discussion built around the sexual dynamics of these advertisements. Hima spoke about the recent Airtel advertisement about the way the role of the woman is compartmentalized in terms of being an ideal wife which again is a problematic domain in terms of defined gender roles in the backdrop of a modern and urban India. 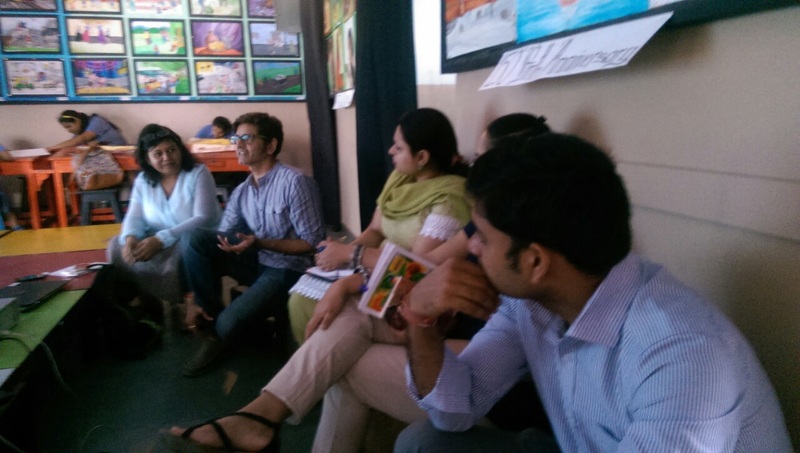 Our facilitator helped them ‘look’ through diverse gazes while keeping the larger picture in mind. He brought into perspective how the content in an image is loaded with a multitude of meanings. The lens of the onlooker assumes immense significance in this regard.